From both a design and practical standpoint, the kitchen is one of the most important rooms in the entire home. It’s generally the center of activity in most homes, and plays a huge role in the value of a given home as well. At Swirl Woodcraft, we have a huge selection of traditional and modern kitchen cabinets that are perfect for any design or aesthetic you’re looking for. 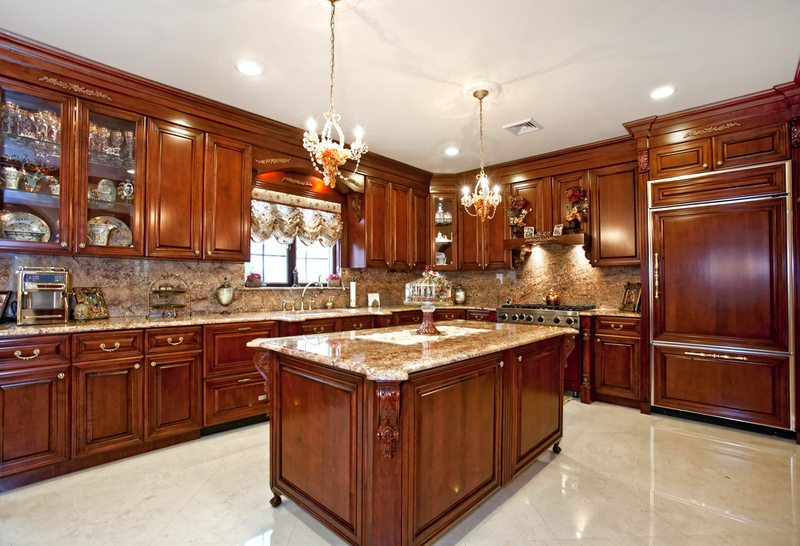 We offer fully customized cabinet options that can be molded to your every desire. How do these custom cabinet products compare to another popular product on the market – semi-custom cabinets – in terms of basics, pros and cons? Let’s look at the important difference points between these two products. Most people generally think of cabinets as coming in either stock or custom formats, but semi-custom options are a bit of both worlds. They mimic stock cabinets in the way they’re largely pre-made pieces in terms of the basics – most of the primary cabinet components will already be built and in place. However, there will be several elements of the semi-custom cabinet that will not be decided; things like wood type, finish options, dimensions and various drawer or door sizes can all be chosen individually by the client. In some cases, semi-custom cabinets are a great choice for those who purchase them. They allow for some mixing and matching of options for design, fit and style, but also stick to a rote format. At the same time, though, it’s important to note that the benefits of semi-custom cabinets break down as you add more options – the price can get so high that it even exceeds the cost of fully custom cabinets in some cases. In addition, semi-custom cabinets don’t have quite the selection of wood and finish options that you might think. Custom cabinets, on the other hand, are fully personalized from the ground up. They allow you to choose everything from your wood and finish type to every element of design and dimension – the only limitations here are what you can conceive of in your mind. There are several areas where this benefits you, including maximizing storage space within your kitchen. Custom cabinets are generally considered higher-quality materials, but can be made from recycled wood that allows for more environmentally conscious construction. They offer the homeowner unlimited flexibility in terms of basic aesthetics, storage and construction quality. They do tend to cost more than semi-custom options, but this is made up for and then some in their long-lasting durability – they’ll often last twice as long as semi-custom options due to superior craftsmanship. For more on why custom cabinets are generally the way to go, or to learn about any of our kitchen cabinet and remodel solutions, speak to the pros at Swirl Woodcraft today.